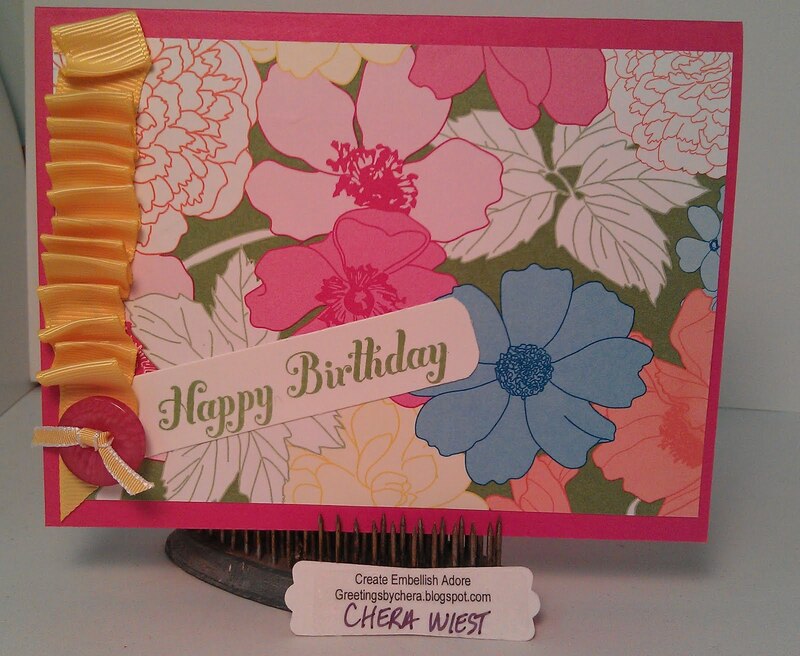 We are talking S-I-M-P-L-E birthday cards... as in let the fancy paper speak volumes! ... and that is just what I wanted! What I failed at, was taking pictures of the inside, since that is where I stamped! .. but just imagine with me - if you will, some of these flowers stamped on the inside along the right side and bottom. ﻿Its quick and easy - just what I like! this paper is gorgeous and makes the perfect backdrop for the sentiment.